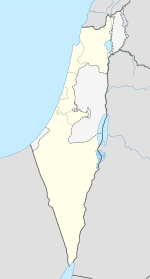 Nahariya (Ebreu: נַהֲרִיָּה‬) is the northmaist coastal ceety in Israel. In 2015 it haed a population o 54,305. Nahariya wis foondit bi German Jewish immigrants frae the fift aliyah in the 1930s. Construction o hames stairtit in 1933, an the first twa families permanently settled in Nahariya on Februar 10, 1935, which is nou considered the offeecial foondin date o Nahariya. Nahariya wis first intendit ta be an agricultural veelage, but the residents suin realized that agricultur in the aurie wis impractical at best, an therefore uised the naitural settin an beaches o the aurie tae encourage tourism. Durin the Breetish Mandate o Palestine, mony Breetish officers comin frae Khartoum stopped in Nahariya. Despite the failure o agriculture as an economic backbone, Nahariya's haurd-wirkin, industrious indwallers turned tae manufacturin. Indeed, Nahariya is hame tae some o Israel's leadin entrepreneurs - the Strauss, Soglowek an Wertheimer families, an several o Israel's maist successfu private sector industrial enterprises wur foondit in Nahariya, e.g. the Strauss dairy company (nou Strauss-Elite fuid conglomerate), Soglowek meat processin company, an Iscar - the heich-precision metalwirks an tuil-makin giant, which wis recently purchased bi Berkshire Hathaway for US$5 billion. Juist ayont the ceety leemits is the beach at Achziv, which is pairt o a naitional pairk. Thare wis ance an important dounset an station on the auncient coastal road that linkt Egyp an Phoenicie. Jews hae lived in Nahariya synee the Seicont Temple period. The Crusaders biggit a castle thare an cawed it Le'imbert. Ower the years, due tae its geographic location—anerlie 6 miles doun the coast frae Israel's border wi Lebanon, Nahariya haes been a frequent target baith o direct cross-border terrorist attacks, as well as o indirect mortar an Katyusha rocket fire. As recently as in Julie–August 2006, Nahariya sustained a barrage o several hunders o Katyusha rockets launcht bi Hezbollah frae soothren Lebanon. As a result, the ceety suffered multiple civilian casualties - wi 5 fatalities. Significant damage wis an aa inflictit on property an pheesical infrastructure. Furthermair, Nahariya's economy suffered a major blow, as twa thirds o the ceety's population haed tae evacuate, wi the rest spendin weeks in bomb shelters, while the tourist saison - a main drivin force o local economic activity - wis badly crippled. Ga'aton Boulevard, the ceety's main avenue, runs east-wast frae the Coastal Hiehway junction tae the sea, an is dividit doun the middle bi the Ga'aton River, frae which Nahariya gets its name - nahar means "river" in Ebreu. Shadit bi the thick greenery o touerin auld-growthe eucalyptus trees an lined wi numerous shops, boutiques, open-air cafes, restaurants an ice cream parlors, Sderot Ga'aton is Nahariya's main tourist attraction an its central business an entertainment destrict. The beach aurie is an attraction in its awn richt, wi a public pairk, a waterfront promenade, twa public beaches, several hotels, a sma marina an a lively nichtlife in the multitude o beachfront cafes, bars, restaurants an nichtclubs. Wikimedia Commons haes media relatit tae Nahariyya.